* We finally have a few survey results - please click here to see them. 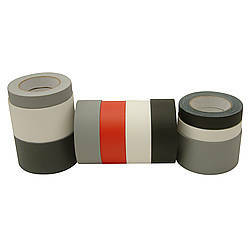 Our exclusive FindTape Gaffers Tape Challenge Pack from includes a variety of gaffers tape options - ranging from ultra-affordable economy-grade gaff tape all the way up to professional-grade and premium tapes - to help you determine which type of gaffers tape to buy. 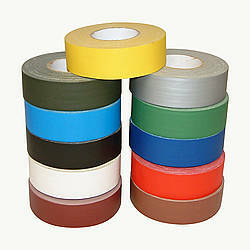 Here at FindTape.com, we recognize that gaffers tape is relatively expensive when compared with other types of tape, with up to a $500 difference in economy tape vs. premium tape. 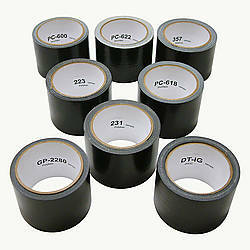 With the GAFF-TEST-PACK, you can experiment with up to 10 different grades of gaffers tape to help you determine which type is best for your unique needs. 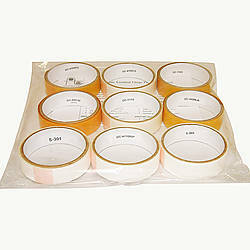 Because this is a sample product, you'll get various different styles of gaffers tape for essentially just the cost of the materials. 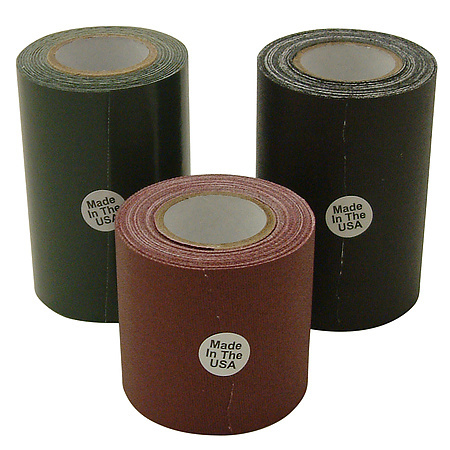 FindTape includes a handy access code with every test pack purchase, so you can rate and track how well each type of tape worked for your specific applications. Check out the video below and survey results for more information. 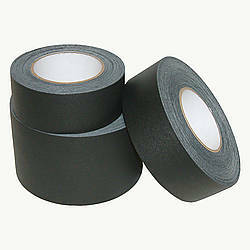 "Unfortunately I didn't get to test any of the tape, the tape was used by our church VBS director to decorate our auditorium in black plastic for a "space" theme. She didn't know to pay attention to the different roll numbers for the test. She said all the tapes worked well but there were some that tore better than others. I'll order another pack and test in the near future." "672 has a little shine." - Justin Breithaupt, VP, Non-Stop Services, Inc.
"The more extreme tapes: * Scapa 125 comes off the roll tenaciously yet removes far too easily from plastic surfaces. * Shuretape PC-628 is very difficult to unroll and as expected has the strongest adhesive of all; but it did leave residue after three days. 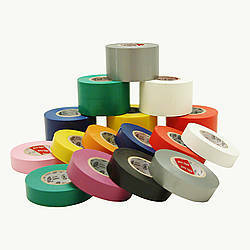 This is a great tape for anything that will not require removal later. 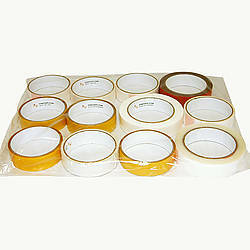 * Shurtape P-672 unrolled quite easily and yet it is very strong and difficult to remove, tough to tear too. Very stiff backing. 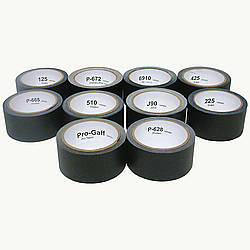 My First Choice Is: * Pro-Gaff tape was in my opinion middle-of-the-road or better in all categories that I evaluated which allows it to cover most all application I use tape for and do so with without undue difficulty. Areas I evaluated are: -Easy of pay-out -Firm-ness or body of backing -Tear-off ease. -Removal after three day from plastic and rubber jacketed cables. " - David Wilkins, Field Recording Engineer, Campust Crusade for Christ Intl. 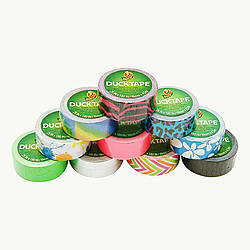 "We received the tape, but have not had a chance to use the products yet so I can't comment on them........will be glad to once we've had a chance to use them." - TR Stull, Facilities Manager, KS Productions. 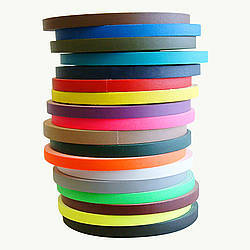 "We have a complete printing bindery. 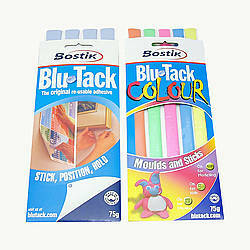 This included folders, booklet makers, inserters, mailing inkjets and other machines. We'd been using the P-665 for years as temporary hold on the machine rollers and paper feeding. With the change in permacell it no longer had the right degree of stick. P-672, on the other hand, was the only tape in the sample pack that was right." - Jesse Parkerton, Data Manager, Connecticut Color, Inc.